While GM teases impatient carbuyers with the Chevy Volt and takes aim at the popular Prius, Japan's Toyota refuses to sit still. 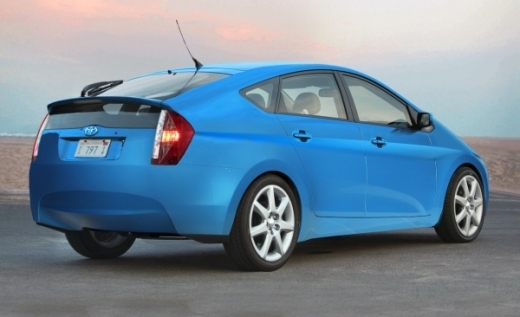 Instead, the new 2010 Japan-market Prius has raised the bar for new - and future - hybrid cars. If you thought Toyota would be resting on their laurels after selling almost 200,000 Prius's (Priui?) in 2008, then you're confusing them with some other *cough*GM*cough* car company. Nope, Toyota didn't wrest the sales crown from GM by accident and "rest" isn't in their vocabulary. Case in point? The 2010 Japan-market Prius that debuts over there this coming May and will likely arrive here in the fall. 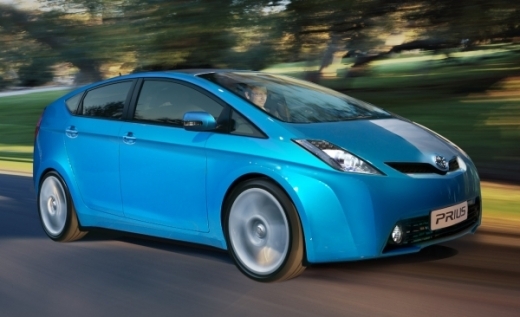 Just how much better is the much-loved Prius for 2010? Let me count the ways... starting with its slippery new shape, more aerodynamic to be sure but at the same time edgier and pleasingly creased. 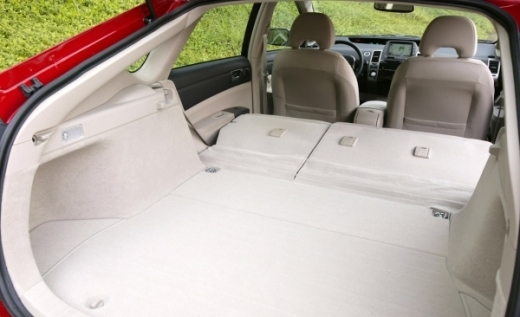 Toyota engineers have also worked their magic on the interior, creating even more space within a body that's just slightly wider than its predecessor. Even more exciting, the Prius' 1.6-liter, Atkinson-cycle four-cylinder grows by 0.1 liter but sips even less fuel: 38.0km/l (CO2 emissions: 61g/km), which exceeds Japan's 2010 mandatory national standard by more than 25 percent. In fact, the engine already beats the even tougher 2015 standard - but you can bet Toyota will be improving even that stellar score over the next 5 years. The word "Prius" may be Latin for "prior" but Toyota's hybrid hit is anything but behind the times. The new iteration (the 3rd, since 1997) raises the bar even further and in doing so, shifts the target GM and other domestic carmakers have been aiming at. Of particular concern is the long-rumored and even longer awaited Chevrolet Volt.